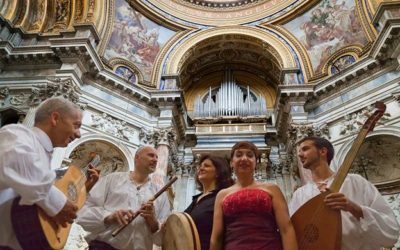 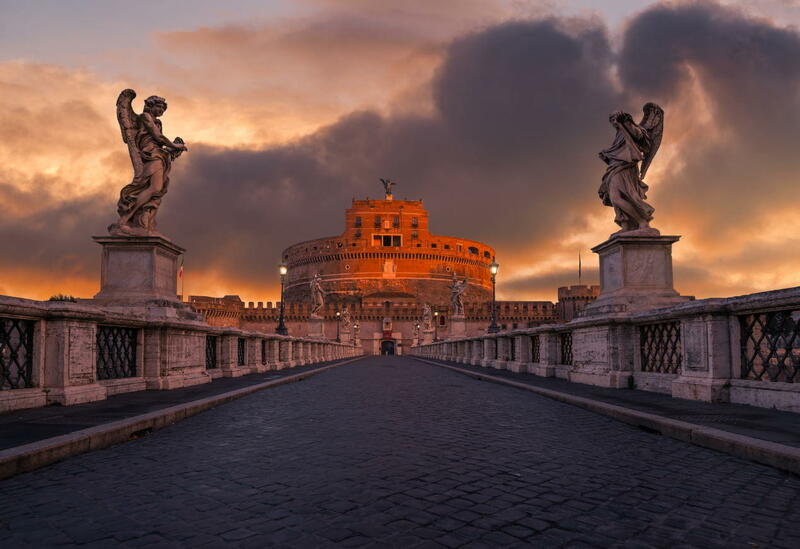 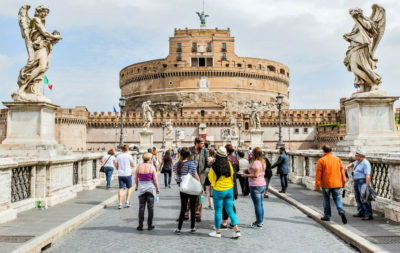 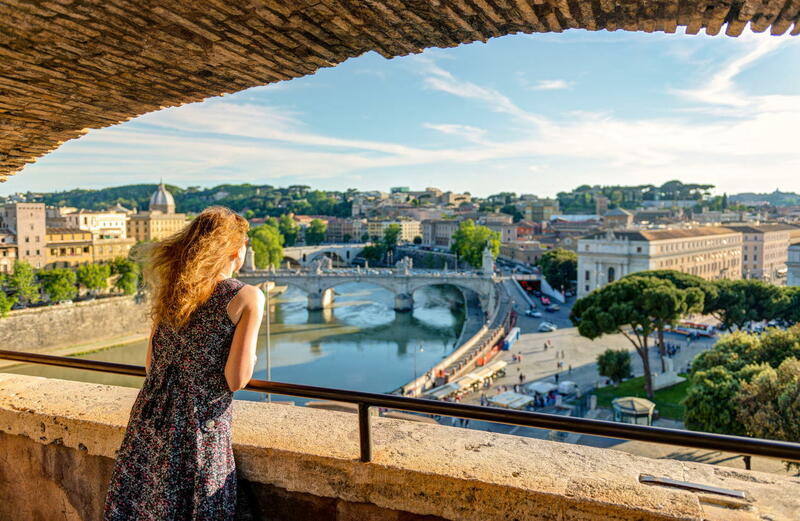 Tomb for an emperor, fortress dungeon, treasure chamber and museum – Castel Sant’Angelo is one of the most striking landmarks of the Eternal City. 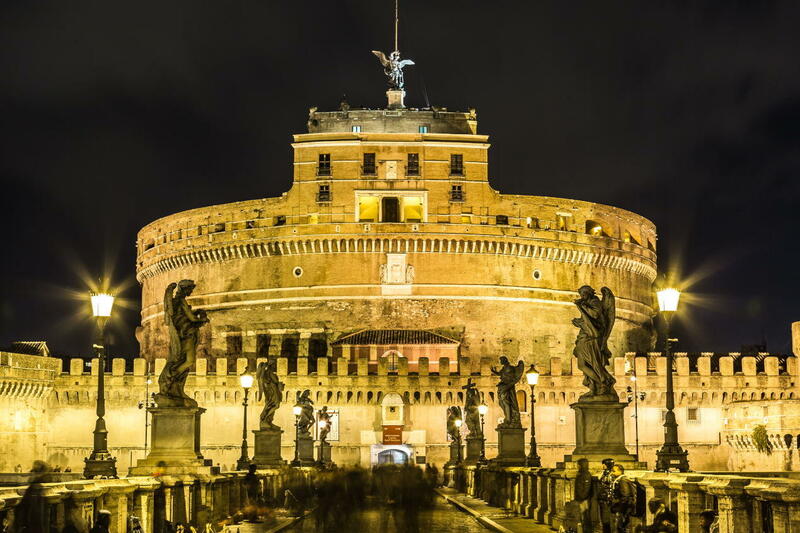 Originally, the monument was a tomb commissioned by Emperor Hadrian (117-138) in the last years of his reign for himself and his successors, and completed by Emperor Antoninus Pius. 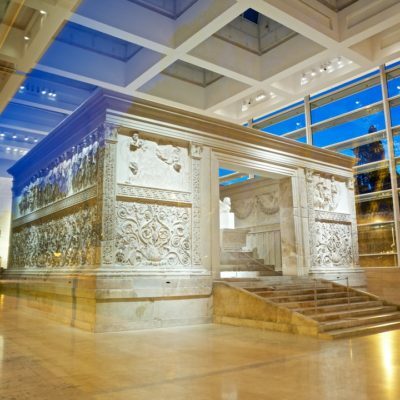 The mausoleum has a square base with a sides 84m long and a height of 15m, topped with a cylinder, 64m in diameter and 20m high, made of blocks of travertine and tufa stone. 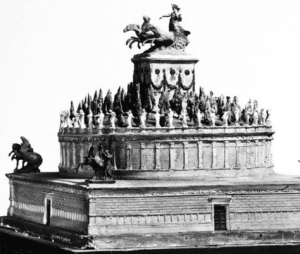 The cornice was probably adorned by statues, and the highest point by a bronze quadriga with Hadrian as the sun god. 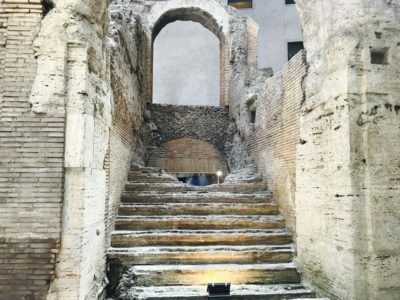 Inside, a ramp which can still be used today leads up to the chamber in which the remains of all emperors up to Septimius Severus were laid to rest. 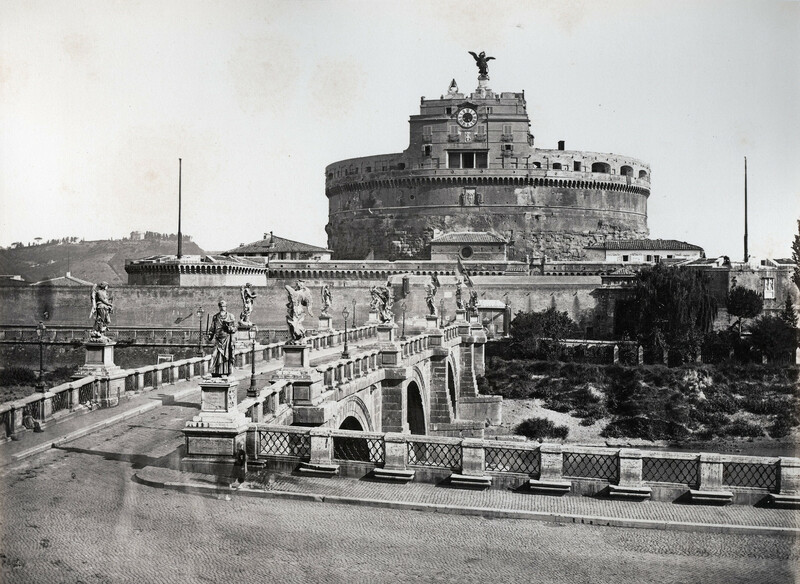 When Rome was threatened by the invasion of the Germans from the north and a new city wall was built under Emperor Aurelian, the mausoleum was included in the fortifications near the end of the 3rd century and extended to become the strongest fortress in Rome thanks to its strategically ideal location. 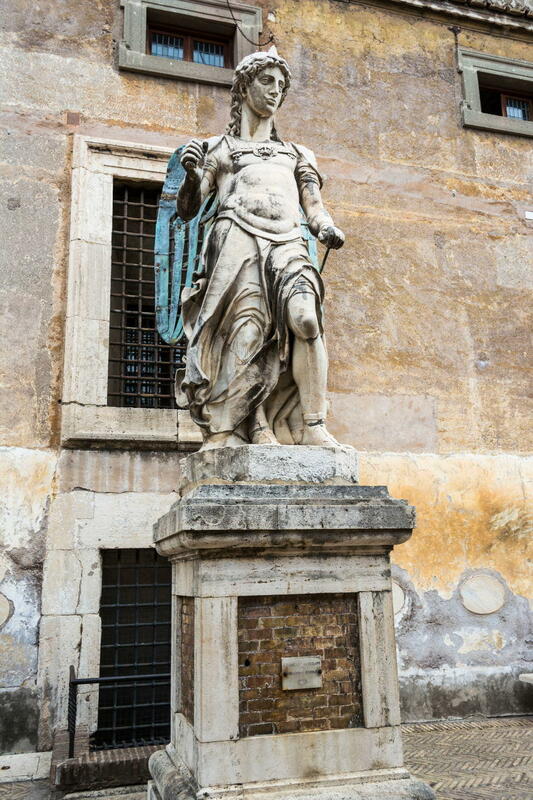 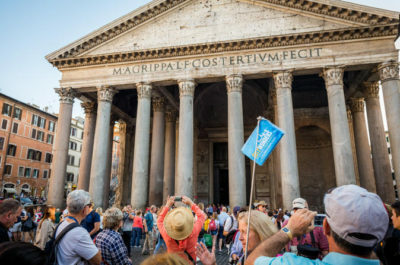 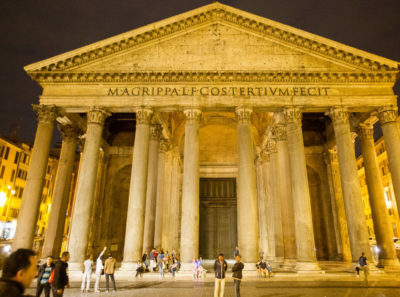 The Hadrianeum changed its name when Pope Gregory the Great had a divine vision in the year 590: the archangel Michael appeared to him above the mausoleum and, by replacing his sword in its sheath, predicted the end of the plague raging at the time. 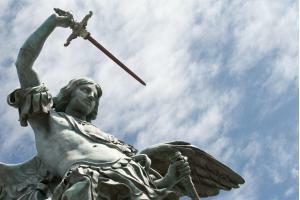 As a symbol of the legend, a figure of an angel has crowned the pinnacle of the fort since early Christian times; the current bronze statue was made by Piet van Verschaffelt in 1752. 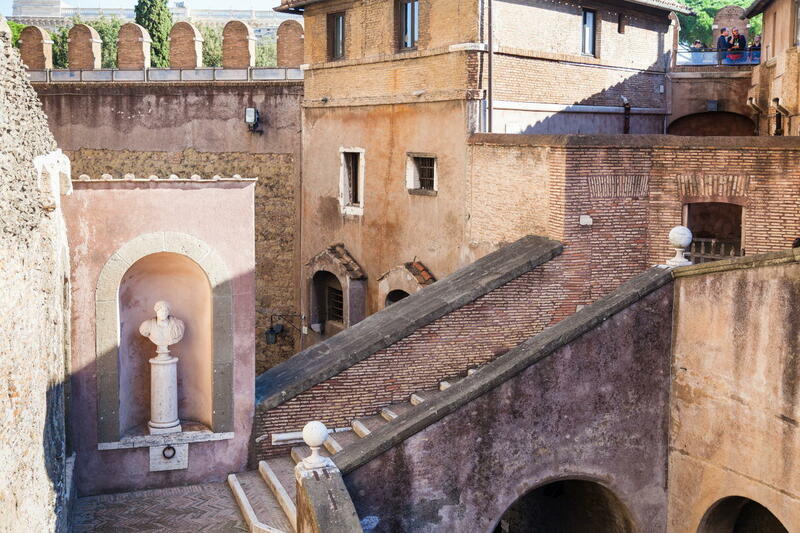 In 1277, Pope Nicholas III had the castle connected to the Vatican palaces with the Passetto, an escape route consisting of a wall with a covered passage which still exists today. 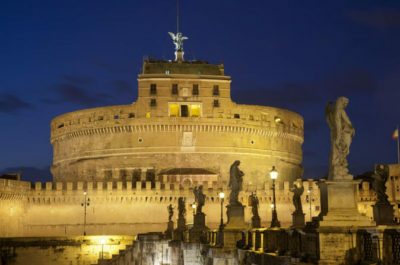 Alexander VI, the Borgia pope, reinforced the Passetto, built palatial living quarters and fortified the castle with four corner bastions. 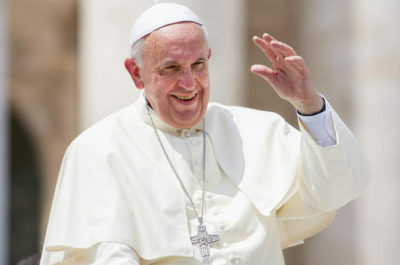 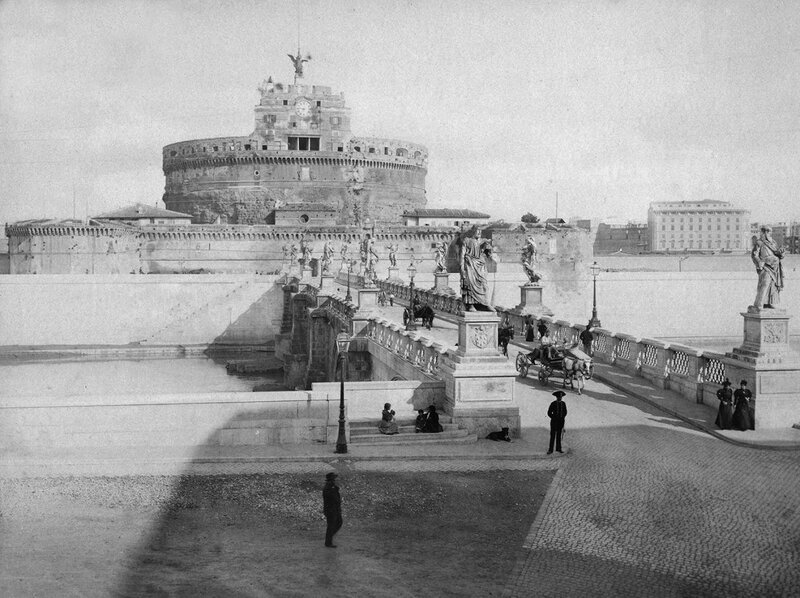 In threatening situations the popes repeatedly sought refuge in Castel Sant’Angelo: Pope Gregory VII in 1080 from Emperor Henry IV, Pope Clement VII and several hundred other refugees during the Sacco di Roma in 1527 from the lansquenets of Emperor Charles V, and Pope Pius VII from Napoleon’s troops. 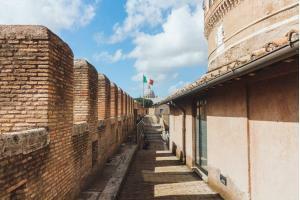 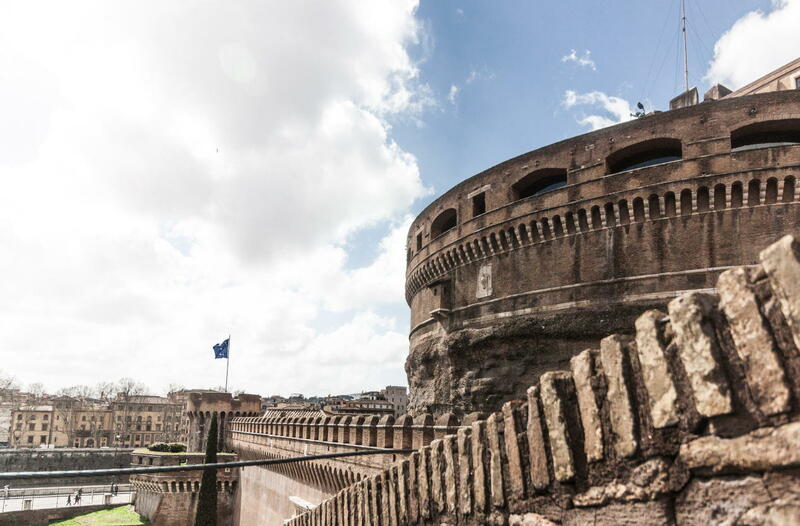 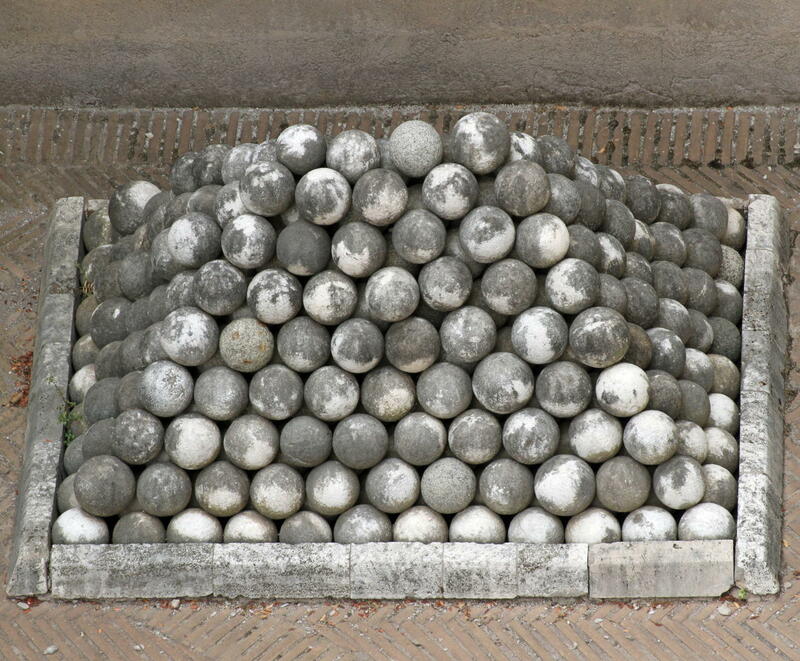 The walls of Castel Sant’Angelo have held famous prisoners. 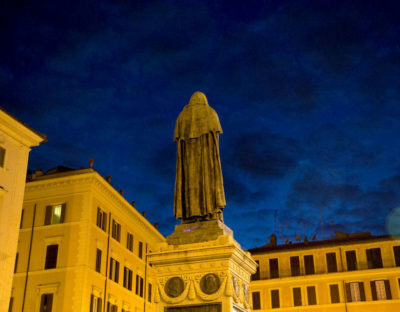 Criminals as well as troublesome cardinals were locked up here, and the legendary trials of Beatrice Cenci, Giordano Bruno and Cagliostro took place here. 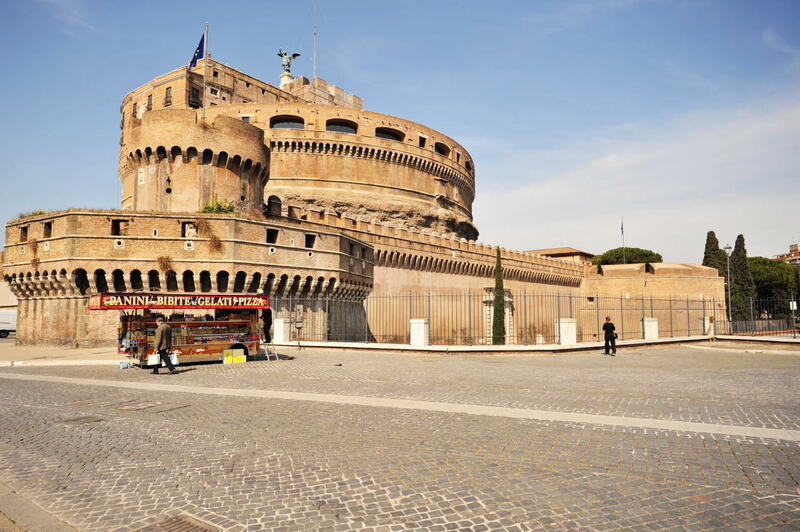 At times the castle housed the papal treasure chamber and the secret archives. 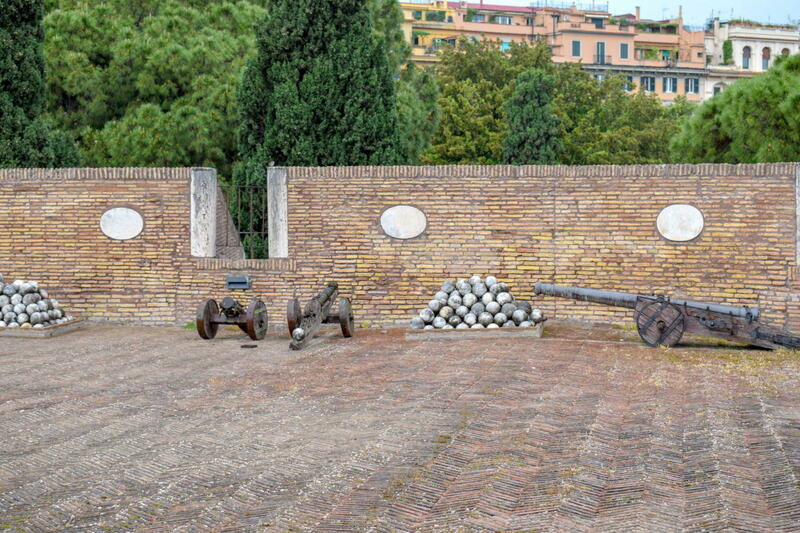 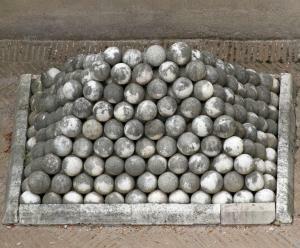 Until 1901, when it was restored and turned into a museum, it served as a prison. 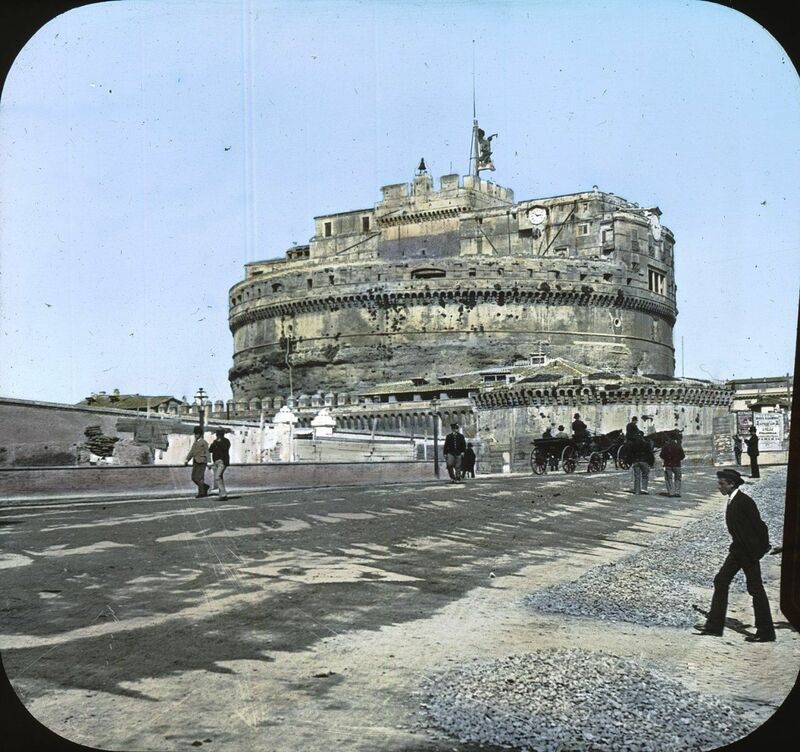 Visitors enter from the side facing the Tiber and climb the ancient barrel-vaulted ramp to the funeral chamber in the centre of the castle, where the urns of the emperors were placed. 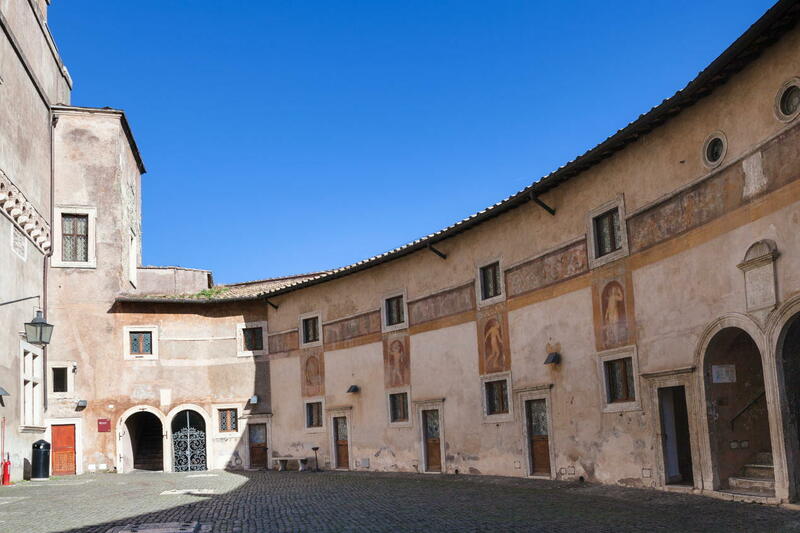 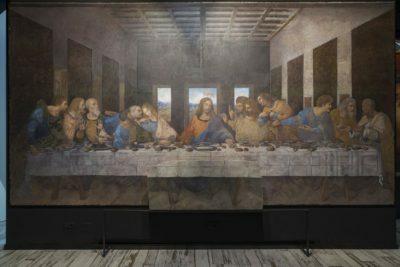 Of the papal quarters, the following are particularly noteworthy: the grotesquely decorated chamber of Paul III, the halls of Clement VII with friezes and coffered ceilings, and the so-called papal apartment decorated with frescoes by Pierin del Vaga. 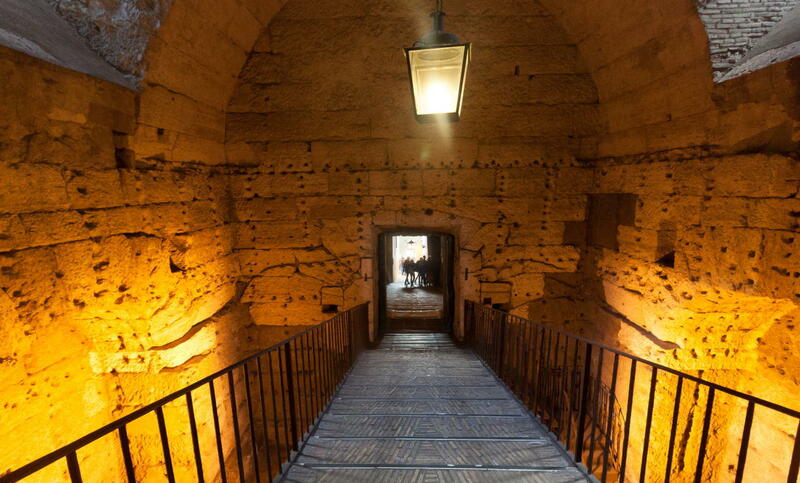 The huge chests of the Sala del Tesoro used to contain the most precious pieces of church treasure. 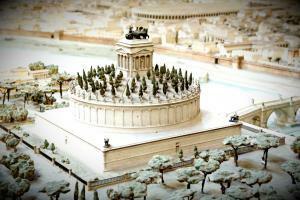 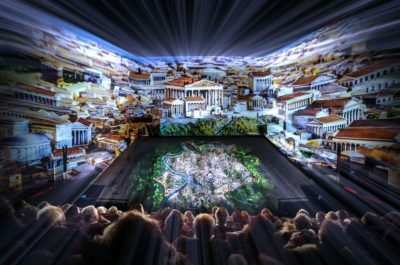 Models illustrating the history of the castle, sculptures, and pictures, mainly from the time of Paul III, are also on display. 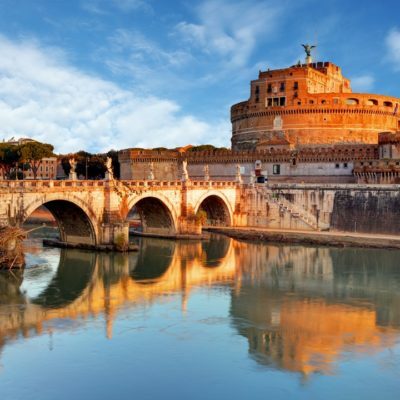 Ponte Sant’Angelo is considered the most beautiful ancient Roman bridge. 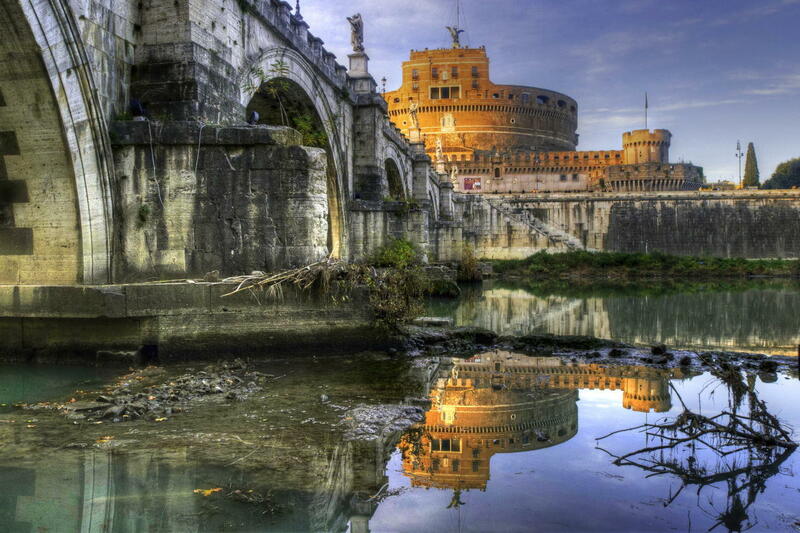 Hadrian had it built across the Tiber in AD 134 to provide access to his mausoleum. 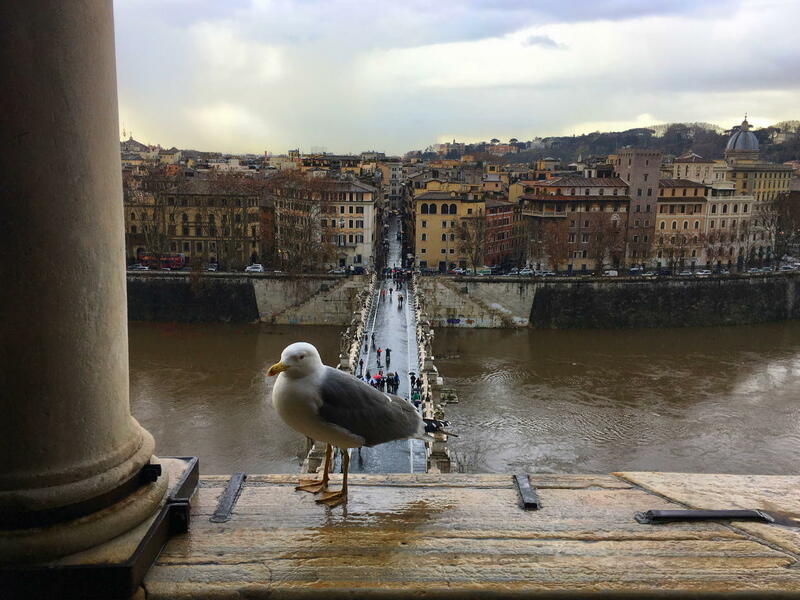 A seagull is posing with Sant’Angelo Bridge background. 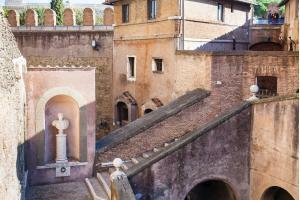 The original three arcades in the centre of the pedestrian bridge have been preserved. 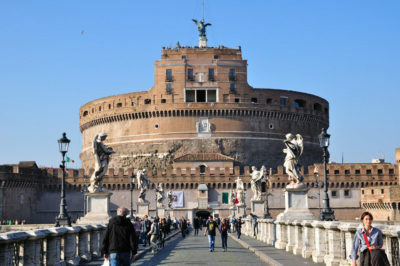 Access is guarded by statues of the apostles Peter by Lorenzetto (c. 1530) und Paul by Paolo Romano (1463), both of which were placed here in the mid-16th century. 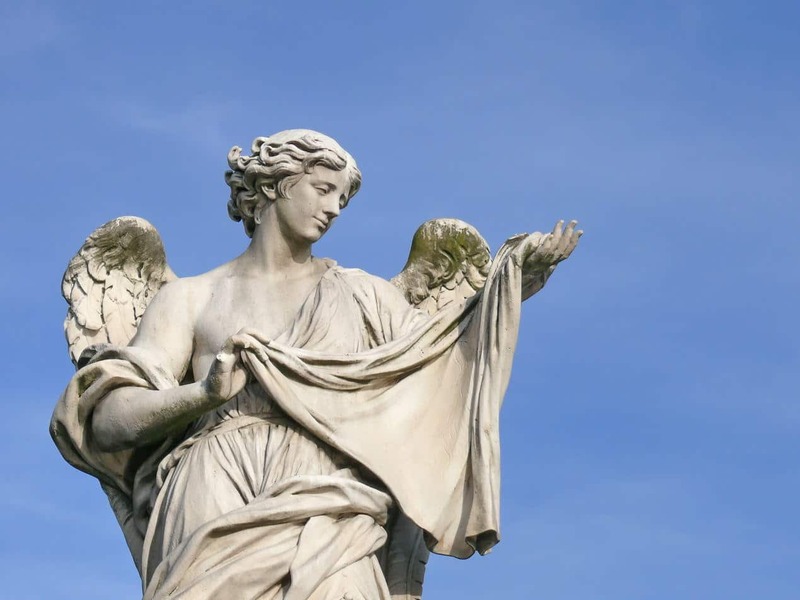 The ten angel statues for the bridge were commissioned by Alexander VII from Bernini, who was seventy years old at the time. 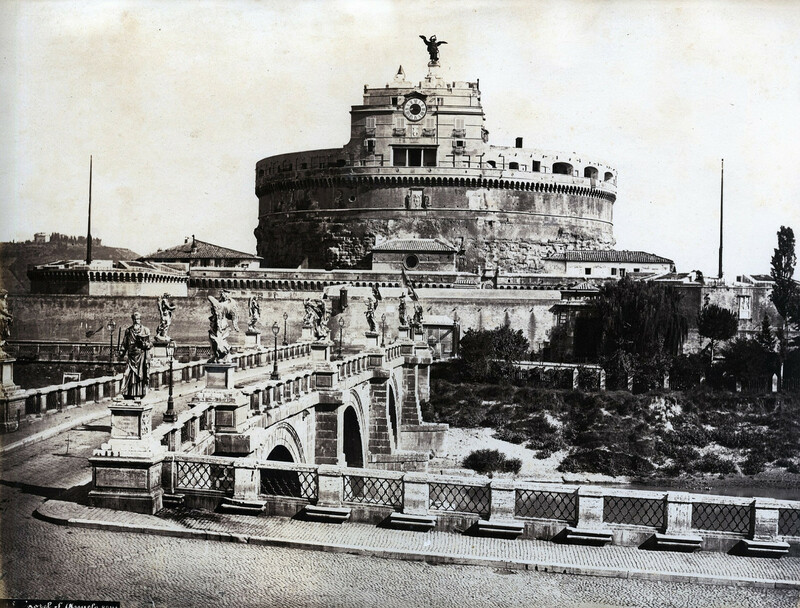 Bernini produced the sketches used by his students Antonio Raggi, Antonio Giorgetti and Ercole Ferrata between 1660 and 1667 to complete the Baroque sculptures. 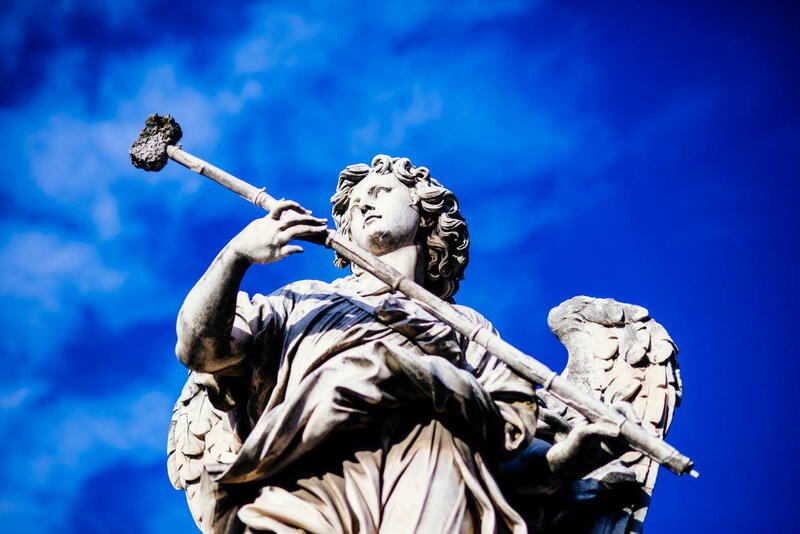 Only the angel with the titulus cruxis and the one with the crown of thorns were executed by Bernini himself. 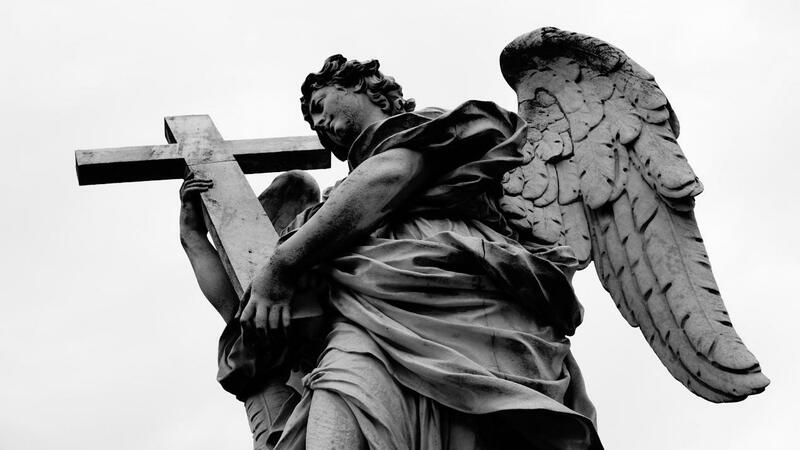 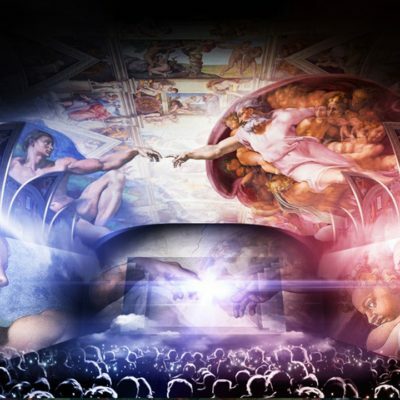 The symbols of Christ’s suffering are held up to the sky in admonition by his messengers – unmistakably the work of a master of spectacle. 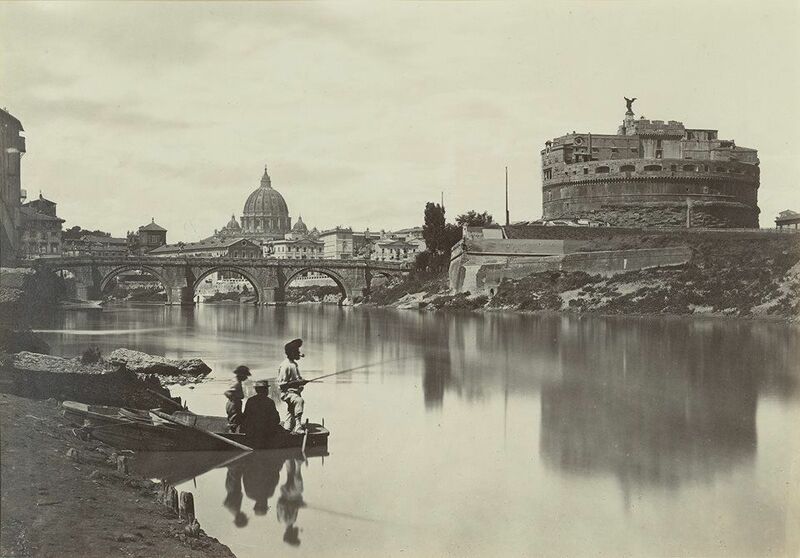 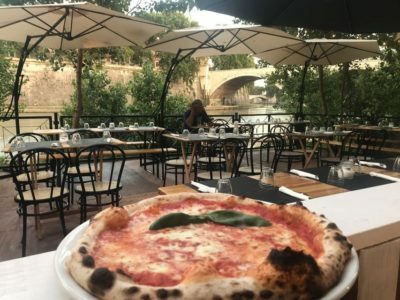 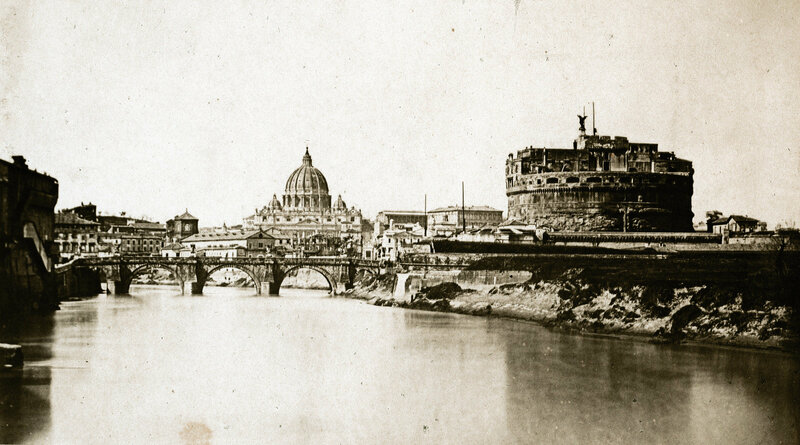 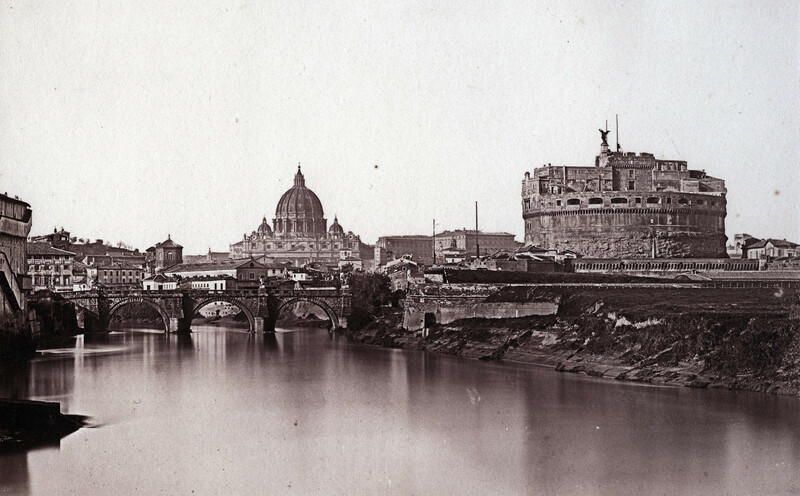 The Tiber is once again in use as a transportation route for Romans and tourists. The tourist boat leaves from the Ponte Sant’Angelo in front of Castel Sant’Angelo. 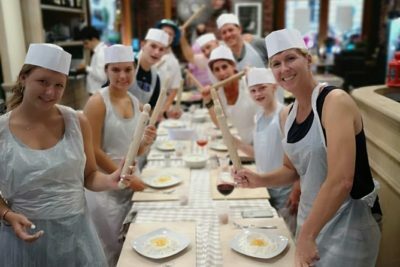 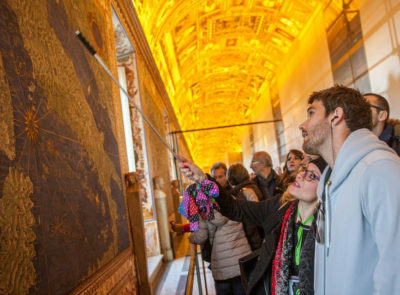 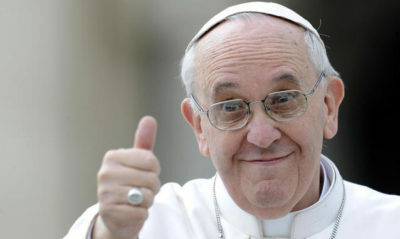 The Italian and English- language tour takes 1 hr 15min and costs 15 euros per person. 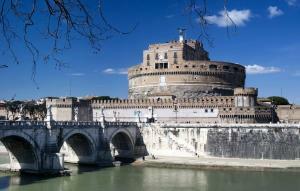 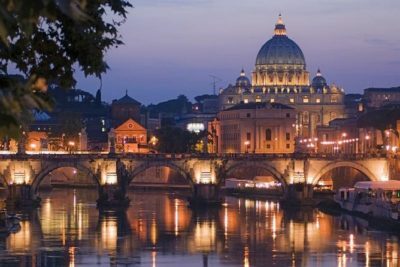 Castel Sant’Angelo set in Lungotevere Vaticano District of Rome, 2,9 km from (36 min walk) from Colosseum.